I received an email this morning from TfL. Slightly unusual, as the email about line closures is usually later in the week. Half way through the email I was struck how triumphant and well-crafted it was. The tonality was different to the usual customer marketing that I regularly receive. And then, upon seeing the signature at the conclusion of the email, it all became clear. 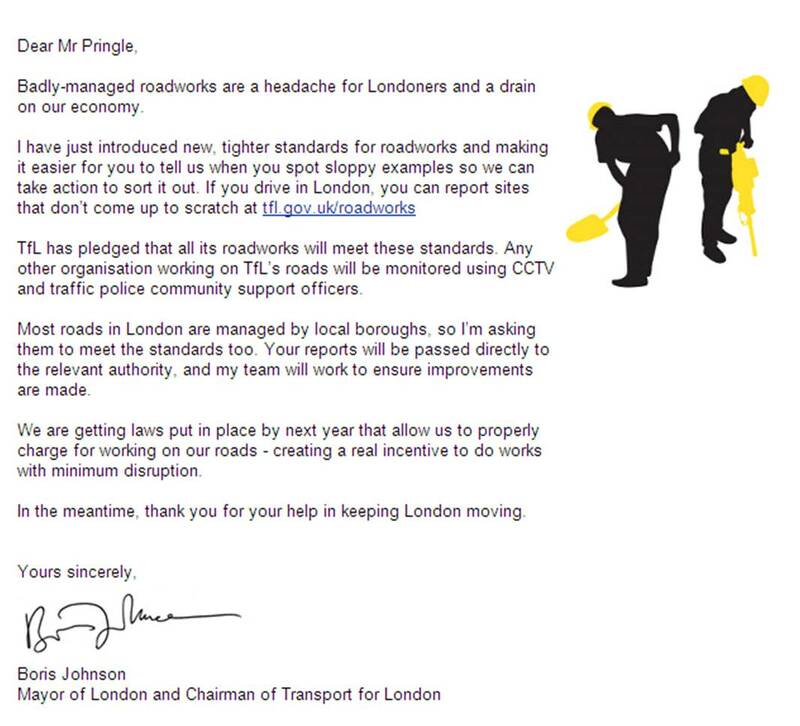 Whilst this was travel-related news, it is also the fulfillment of a manifesto commitment from Mayor of London Boris Johnson who is seeking re-election in May 2012. There’s a fine line between legitimate government announcements and state-sponsored political communication (propaganda) and this email sails dangerously close to the wind. Previous Do you follow politics? You will now. I am amazed at the detail and quality we put into this particular write-up. Hold upward the beneficial function on this topic and continue to compose articles such as this particular!